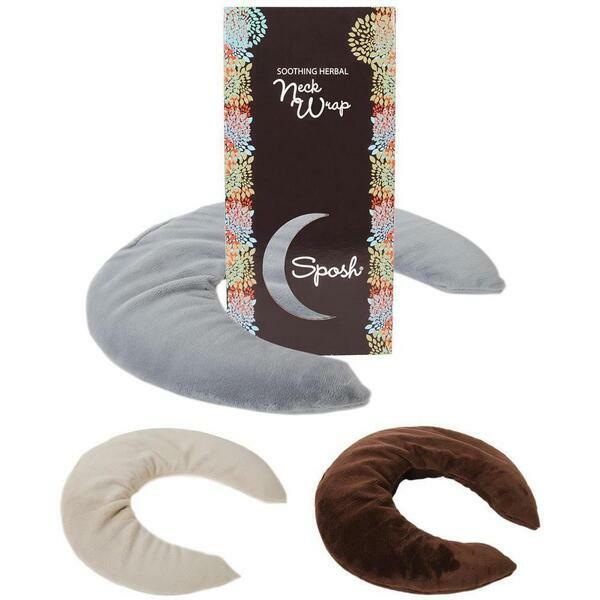 Soothing relief for tight, stressed neck muscles, these minky herbal neck wraps stay in place while you walk, stand, or sit. Filled with flax seeds and twelve herbs. Can be used for warm or cold therapy. 25” x 5” tapering to 3”. Weighs approximately 2 lbs., 4 oz. Available in Java, Enchanted Moonstone and Cream.